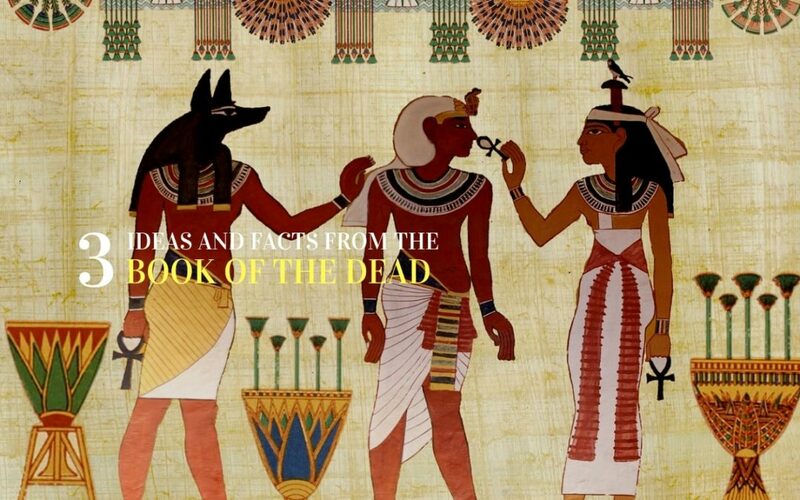 The information contained in the Egyptian Book of the Dead acted as guidebook for the recently deceased. The following are three ideas described in the Book of the Dead which held great meaning to the ancient Egyptians. At first The Book of the Dead was only made available to royalty and the elite. However, over time the custom grew and spread across Egypt, more people desired to have their own personalized copy of the Book of the Dead to assist them in the afterlife. These books were created by scribes to meet the increasing demand. These scribes offered different collections or packages for the clients to choose from. The scribe creating the personalized copy would inquire about the kind of life the purchaser has led. They would ask if they been wicked or kind in their nature towards others. Depending on their answers the scribe would include the most appropriate spells to provide them progression into the afterlife. Spells included would give the deceased the power to control their own body and keep it safe. This included the correct process for mummifying the body. Some spells allowed the deceased to turn into different animals to make it easier to travel through the netherworld. Many spells provided vital information which would need to be repeated at certain points on their journey. Other spells granted protection against hostile creatures such as snakes and crocodiles. The ancient Egyptians believed that the afterlife was a mirror reflection of their life on earth. This included performing work. Most Egyptians did not want to perform the work themselves, so they would often be buried with figurines representing servants to assist them in the afterlife. These figurines were called Shabtis and they have their own dedicated chapter in the Book of the Dead. The figurines were shaped as adult male or female mummies usually made of stone or wood. Each doll was inscribed with the shabti spell and were given instructions intended for the figurines to follow as they went about their duties. The Shabti were expected to perform roles such as farming, cleaning, cooking and serving their masters. Sometimes the complete spell would be used, other times some clauses were omitted. O shabti, allotted to me, If I be summoned or if I be detailed to do any work which has to be done in the realm of the dead, if indeed any obstacles are implanted for you therewith as man at his duties, you shall detail yourself for me on every occasion of making arable the fields, of flooding the bands of conveying sand from east to west. ‘Here I am you,’ shall say. The figurines would be purchased from temple workshops and craftsmen. The more shabti figurines a person could afford would indicate their personal wealth. When examining tombs modern researchers can determine the status of the tomb’s owner by the amount of shabti found. A person who was poor may have none, but modest tombs may contain a one or two. Some of the tombs belonging to the wealthy could contain hundreds of shabti sometimes even one for every day of the year. Spell 125 is usually the longest spell and is a vital inclusion as it prepared the deceased for their final judgement. The spell explains how the deceased must declare his innocence before the court of the gods and how afterwards the gods will weigh their heart to determine their worthiness. Spell 125 begins with an introduction to the owner of the book and advises the reader, what should be said when arriving at the Hall of Justice and meeting Osiris. Once all the Forty-Two Judges were satisfied, they and the gods Osiris, Thoth and Anubis would confer to discuss if the confessions were accepted. If the soul was accepted they would have to face their final challenge. However, if the heart was found to be heavier than the feather it was considered to contain wickedness and it was swallowed by part crocodile, part lion, part hippo monster called Ammut also known as The Devourer.